Although you can’t use the Cricut Explore offline, you can still use cartridges in the Cricut Explore. 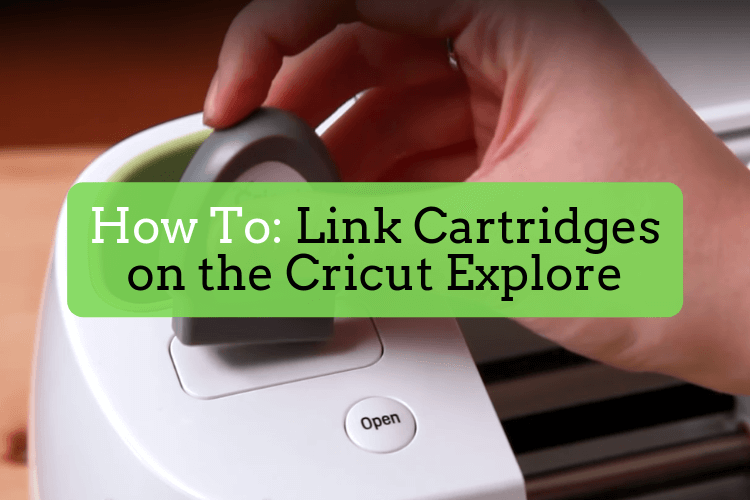 In this article, we will discuss how to link cartridges with the Cricut Explore and answer any questions. If you want to learn how to link cartridges with the Cricut Maker, head over to this guide. Insert the cartridge firmly into the port on the Explore machine. Make sure your Cricut Machine is turned on and connected to your computer. Can I link cartridges to more than one account? No, cartridges can be linked to only one Cricut account. Can I unlink a cartridge after it has been linked? No, once a cartridge has been linked, it cannot be unlinked. Keep this in mind when buying used cartridges. Can I move a linked cartridge to another account? No, cartridges cannot be moved to another account. I linked my cartridge to Cricut Craft Room or older software. Can I still use cartridges in the Cricut Design Space? If you already linked your Cricut cartridges to another piece of software, they are automatically available in the Cricut Design Space. There is no need to re-link them. I linked my cartridge to my Gypsy, how can I link them to my Cricut Account? Once you’ve linked your cartridge to your Gypsy, you cannot link your cartridge directly to your Cricut account. However, you can link your Gypsy to your Cricut account through the Cricut Craft Room. View other common questions regarding linking your Gypsy. I linked my cartridges, where can I access them? Once you’ve linked your physical cartridges to your Cricut.com account, you can find them in Cricut Design Space under “My Image Sets” in the Insert Images window. Can I still use physical cartridges in the Cricut Explore without linking them? No, in order to use your cartridge with the Cricut Explore, the cartridge must be linked. If I linked a cartridge, can I still use the physical cartridge in other machines? The features of the Explore and the Explore Air are great. My concern is that since you can’t use the cartridge or Gypsy directly with either machines. If PC went out of business or stopped supporting the software, you will not be able to use the machine. It would be different if the software was client software where updates were automatically pushed to your machine. But, internet based software only gives me the willies. Just some bad experience with software companies in the past that put out seemingly great software only to either stop supporting it or go out of business. What are your thoughts about this risk? It is a risk that a company may go out of business, but I don’t see that happening anytime soon with Provo Craft. They have been a main competitor for a while. How do you add swooshes and tails to words in Cricut Design Space when using fonts such as “salt and spices”? I had this problem. Go into devices on your computer. Locate your cricut and right click for troubleshooting. Mine had to download the device driver. I was then able to link cartridges with no problem. So with the Explorer Air 2, you at Lee basically being penalized for buy cartridges so you will have to pay a monthly fee for Cricut Access service. I think I like the old way better. The hell with Air and Maker items. Is there a way to print a list of the cartridges I have linked in Design Space? yes sign into your account at cricut.com they have linked cartridges on left menu when they come up just print screen by right clicking mouse or the options on your browser. You can also print all registered too. I have over 75 cartridges linked to my gypsy and after reading these comments, I believe I’ll stick to my old Cricut Expression. I really wanted to upgrade to the new Air2, especially with the HSN special price. I have the Explore Air 2 and just bought a bunch of new cartridges on eBay. Just found out you can only link a cartridge once and wanted to share with my daughter-in-law who was given a brand new Cricut Expression for Christmas. I’m now going to have to buy her some cartridges for her machine. It’s sad that you cannot unlink a cartridge and then re-link it to another Cricut. Guess that’s how they make the big bucks, so they say. Please, please help I just bought a new explore air 2 but I can’t link them to my account. When I’m logged in to my account it doesn’t give me the option to link my cartridges. WHY?? It can still be used with a regular cricut machine after you linked it to your air cricut. Have a new Explore One Machine and bought a digital cartridge but cannot find anywhere how to link it to my Design Space. Does anyone have any help? When you buy the digital version of a cartridge, it will be added to your My Cartridges list instantly and appear in bold.If needed, sign into your Cricut.com account. Make sure you sign into the same Cricut.com account that you use to log in to the Cricut Craft Room® design software. 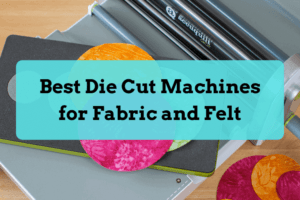 I believe the digital automatically link to your Design Space account not to the machine that way you can use them with most machine as long as you are logged into your Cricut account. Check on the Cricut site or call the phone number on the site and they can tell you for sure. Having trouble linking my cartridges. At the top of the page, there is a box that says “please wait” with a circle that keeps spinning (as if the computer is thinking). But this please wait box never leaves the screen and will not allow me to proceed . Has anybody else experienced this? I am having the same problem. Totally frustrated! YES! I am experiencing this trouble right now and am trying to search for an answer. The more searching I do the more discouraged I am about this whole machine. I don’t like that you have to be online to use it. I’m considering returning it. Please post if you’ve had success figuring it out! I’m having the same problem. I would love to see the fix for this! I am having the same problem and am vastly annoyed. I have an android, is there software for an android? you can do most of the same things, but you can’t upload an image that you have stored on your phone. with a computer or laptop, you can get an image of Google images and save it to your computer, then upload into your cricut software. but the app just doesn’t have the upload image tool. What is firmware? why was I not told this through CHAT on Thursday? I spent 36 min on hold and got disconnected. Now it is the weekend and no one to help me. None of my friends have this issue. totally frustrated that I spent $300 and have 48 cartridges to link. I’ve linked the 10+ cartridges that I have, but now I went back a few weeks later to create and I don’t find them? Any help?? Were you ever able to find your cartridges? I have the cricut explore air – my drop down bar does not list “cartridge linking” in it! What do I do or how do I find this? 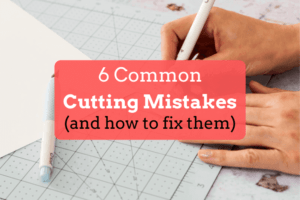 Just curious — are you signed into Cricut Design Space? If so, there is a green ACCOUNT drop down button in the upper left that should list LINK CARTRIDGES. Does anyone know how to link cartridges using iPad Air ? I do not have a way to connect a computer. If I link a cartridge to my account, can I share my account with my mom and she will be able to cut on her own machine? Or is it machine specific? My impression is that an account can only be linked to a single machine, because Cricut doesn’t want people to be able to share subscriptions or purchased patterns. I was able to chat with customer support from the cricut design space website yesterday. After reading about all the linking restrictions…i think i will just link the monogram cartridge I have as it cuts letters so skinny and I need to modify ir. I have an expression machine and may want to upgrade. So it looks as if I can never link my cartridges to a new machine if I link to my old expression. Wow. This is so proprietary! Cartridges arent cheap. Updated firmware still cannot link the cartridge I have had this machine for almost a year it was my Christmas gift last year. Never get customer service on the phone the dam thing doesn’t work wish I could return it I can spend my money on something else. Not a happy camper! Has anyone had any luck with updating the firmware and being able to link cartridges to the Explore Air? Totally frustrated… The PC doesn’t recognize the machine when plugged in through the USB. All I keep getting is the “Please Wait” spinning circle. Am having the same problem when trying to link a cartridge to my iPad. Very frustrating! Can I access linked cartridge from my iPad? Help please, I have a new Cricut Expression Air 2 machine which I access via my IPad. How do I use my cartridges with this machine? Nowhere does it ask me to link my cartridges and when I log into my account it goes straight to the create page and doesn’t display any menu of any kind. Thank you in anticipation Tracey. I’m having the same issues. Have you found a solution to this annoying problems? I’m interested in upgrading to the Explore Air2. I have a Cricut Expression presently. I just want to confirm that I can still use my cartridges in the Expression machine as well as uplinking them for use with the Explore Air2? Is there a physical spot to insert them in the Explore Air2? Are the key pad overlays obsolete now with the Explore? I too cannot link a cartridge to my iPad….there is no drop down on my iPad in the left hand corner. Others are having the same problem….please post an answer to help us!!!! To link the cartridges you can’t be on the app. Go to the cricut website and sign into the design space there and you will see the drop box. I am having the same problem! Mine also says please wait! Help! My explore air one says my cartridge is linked yet I can’t find it anywhere to use it. Help please!!! I have linked my cartridge to my machine- how can I use the font? I can find the images but I can’t figure out how to write with the font from the linked cartridge!! Please Help!! This is all too much. How does these machines get so many good ratings if they are so limited. Are all those people liars. If so they need to be whipped for being such big liars with their false advertisement. I have not received my unit and I am regretting my purchase all ready. Is it true you can only use one computer and not use multiple computers with your cartridges and design space? Do you need to buy an adapter to use design space with your explorer air 2? The cartridge only links with one Design Space account, which you can access from any computer. No you do not need to buy an adapter. You’ll be right, don’t fret. It’s a great machine. Any of the Explorer Airs are wireless so no adapter is needed to connect. They also all include a USB port to connect to a computer. Also, you can access design space from any computer because you just go to a webpage. You can also use an iPad or phone to access Design Space, as long as the app is installed. Your cartridges are linked to your Design Space login through cricut.com so you can access them whichever way you choose to access Design Space. So basically, you should be fine! I just bought a used cartridge from EBay….Will I be able to use this cartridge on my Explore Air 2? If i link my cricut cartridge, will the cartridge always be available cor me to use? Or do i always have to keep the cartridge and plug it in each tkme i want to use it??? Hi Mookie, the software will support XP. I have a Cricut Expression and loads of cartridges. About half of them are linked to my Gypsy. However, my Gypsy has the blue screen of death and is non functional. And, I am two laptops away from when I used Craft Room and no longer have this on my current laptop. Does this mean I can’t link these cartridges? I certainly don’t want to lose the use of them. And, after linking, is it true that you must maintain Cricut Access or you lose everything purchased or linked? If this is true, that is extortion. And I will stick to the basics. Hi Nina, if you bought the cartridges, you still own the designs. If your Gypsy died, I would contact Cricut support and they should be able to help you get everything linked. As for Cricut Access, if you purchased a Cricut Access subscription and used designs from there, those designs will no longer be available if you decide to no longer pay for Cricut Access. If however, you purchase designs individually or from a cartridge, you have them for life and you don’t need to pay for Cricut Access for those designs. I bought a lot of Cricut cartridges with the intent of selling them on eBay or Etsy. Are these the best places to sell them? I sold the new sealed cartridges & the cartridges marked “linked to Gypsy” as new and linked respectively. I still have 65 cartridges (with template and book) that are used, but not marked “linked to Gypsy”. Is there any way to determine their “linked” status? I don’t have a cutting machine, but it might be worth getting one if it would answer the question (without linking them to an account). I watched the cartridge linking video above. If a cartridge is already linked, will it give an error/warning before you click on link? I also have 2 Gypsy devices. 1 new, and 1 in an open box. Both Gypsies have the same problem: The blue light will come on, but nothing else. I have to reset them to turn them off. I have seen others with this “Blue light/black screen” problem, but no solution.